Judging by the reviews of the majority of tourists who visited Istanbul, many of them did not reach Asian part of the main Turkish metropolis, or did not have a proper walk there. The best case, they just saw SabihaGökçen International Airport and ferry docks, a destination of leisure cruses from Europe, where on the way one can feed with bread seagulls swooping overhead. For you to have morecomprehensive and diverse picture of this incredible city, we would like to tell our readers about the unique corners of its Asian part, as it is a crime to miss them. Despite the common opinion that the Asian Istanbul is a continuous residential area, and all the most interesting sights areclustered in Europe, we ventured to check on our own experience whether it is true. There are several ways to get from one continent to another: here you haveMarmaray (a rail tunnel under the Bosphorus strait), bridges (there are three of them across the strait), and, of course, ferries crossing the Bosporus on schedule: for the Istanbulites this is an ordinary means of transport, there are manyferry docks in the city. Choosing any of these options, in 15-20 minutes youcan move from one part of the world to another, and here is a big question - which part you would like more. All because the European and Asian parts are not a "historical centre" against the "sleeping district" - these are two harmonious evolving sides of a huge centuries-old metropolis, therefore, it is possible to spend good time here and there. 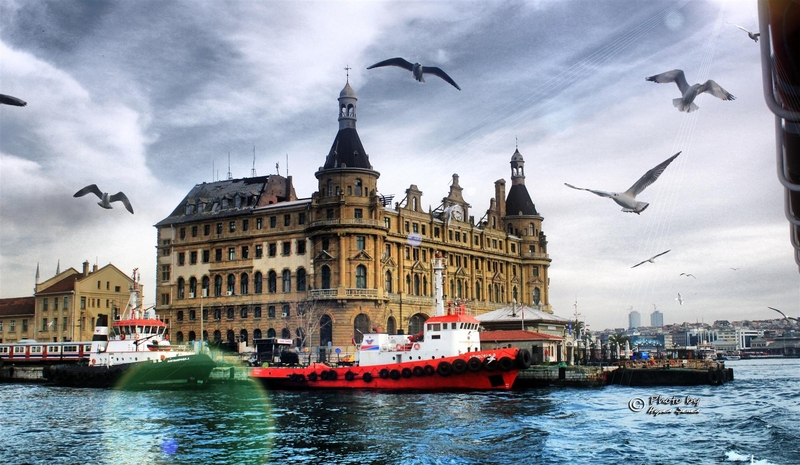 The most famous and pompous district of the Asian partwith half-millionof inhabitants, is located literally in 7 minutes of sailing on the city ferry from the European Beşiktaş. 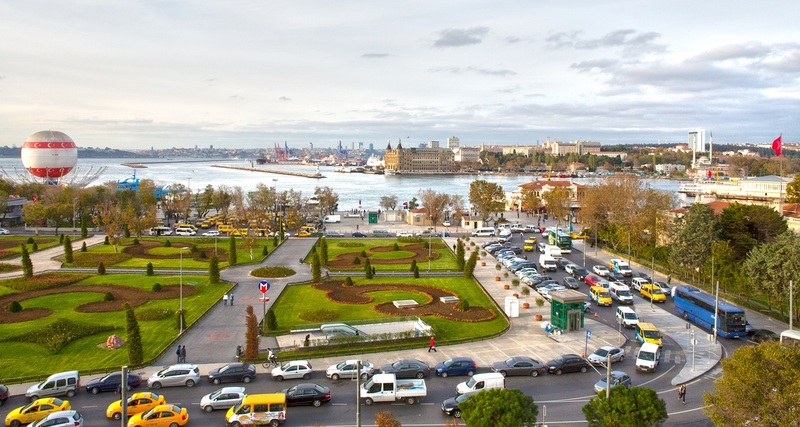 In ancient times, Üsküdar was ruled by the Greeks, they referred to it as the Golden City, since one of the Silk Routes ended here, which means that among the inhabitants there were many very rich merchants. The name comes from the word escudari, which is translated from Persian as a messenger. All because it was from Üsküdarthat pilgrims started their trip to Mecca, usually Sultan personally came here to see them off and give luxurious gifts. Today, people still trade and respect religion (that is well confirmed by local mosques and markets), but the district is quite secular. Fashionable bars, hipster coffee houses, cosy restaurants on the waterfront - it is very prestigious Istanbul district to live in. Tourists, in addition to infrastructure facilities, can enjoy the gorgeous mansions and palaces of Pashas (AhmedPaşa Palace, the Beylerbeyi Palace), ancient monasteries, and exquisite architecture of residential quarters. The whole district is one solid sight that is worth visiting. The legendary architectural structure throughout its history managed to be a lighthouse, a prison, an isolator during epidemics, and customs office, therefore, it developed dozens of myths. KızKulesi(that is its Turkish name) is nested on a small island in the Bosporus Strait and formally refers to Asia, especially since from the local docks it is much cheaper and faster to sail to the tower. The complex opened its doors for tourists in 1999, after it was overhauled. 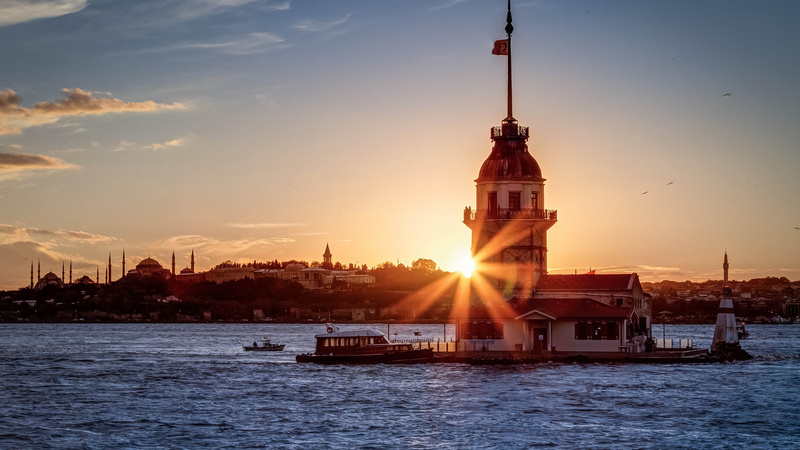 Today, the Maiden's Tower works as an observation deck with views of both parts of the city, and also has a souvenir shop and a restaurant, to have dinner there, you need to reserve a table almost a month in advance. Enjoying your visit to an islet, it is hard to believe that 25 years ago this entire area was in deep desolation, it happened in the twentieth century when the place was abandoned. Only thanks to the youth and activists it was turned from a dilapidated fortress and a dump, into an important cultural destination. The railway station, serving the Asian suburbs of Istanbul and cities of Anatolia, up to the borders with Iran and Armenia, is an outstanding architectural monument of the early twentieth century. It was built in 1909 by German architects who, in order to implement the project, came up with a bold plan for those times - they created the artificial peninsula. Near the station, from where trains departed to Baghdad and Tehran, there is a German quarter, founded by builders from Germany and several military hospitals, so the neighbourhood is a showcase of the first half of the twentieth century. 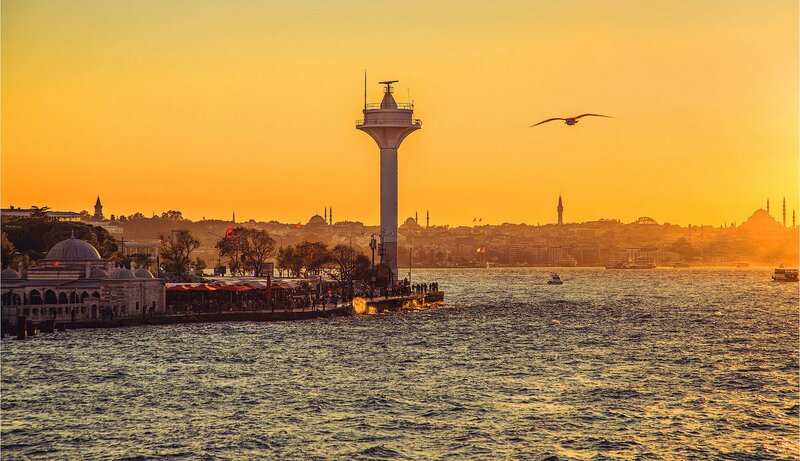 Tourists adore taking pictures ofHaydarpaşaat sunset, and the Istanbul residents are zealously protecting the complex from the encroachments of developers who several years ago suggested to turn it into a luxury hotel, since as a railway terminus, it does not play such a significant role now due to new stations. Let's hope that activists will be able to defend it, since it is simply pleasant to sit there, sipping tea and admiring occasional trains departing from the sea to distant countries. WhileÜsküdar is an aristocratic and fashionable Asian part of Istanbul, then Kadıköy is the most ancient district of the city, more "folk" and simpler. Its narrow winding lanes, endless bazaars and shopping arcades, spontaneous antiques sales and exhibitions of artists, make it a bit like a distant "real Asia" - a bit fussy and vibrant. Unlike Üsküdar, Kadıköy hardly featuresany luxurious architectural objects here, the place is hearty, so you do not feel like a tourist, and if not a local resident, then at least experienced Istanbul inhabitant, when pushing on sidewalks or bargaining in the fish market. Kadıköy is famous for its streets, the names of which very clearly convey their essence - Fashion Street, Artisans Street, Antique Street - they all are like museums under the open sky. Speaking about this district, its beautiful waterfront shall be mentioned;it is, probably, the best in the city, where you can sit quietly very close to the sea, as there is enough space for everything - for promenade, relaxing on benches,ferry docks and bazaars. 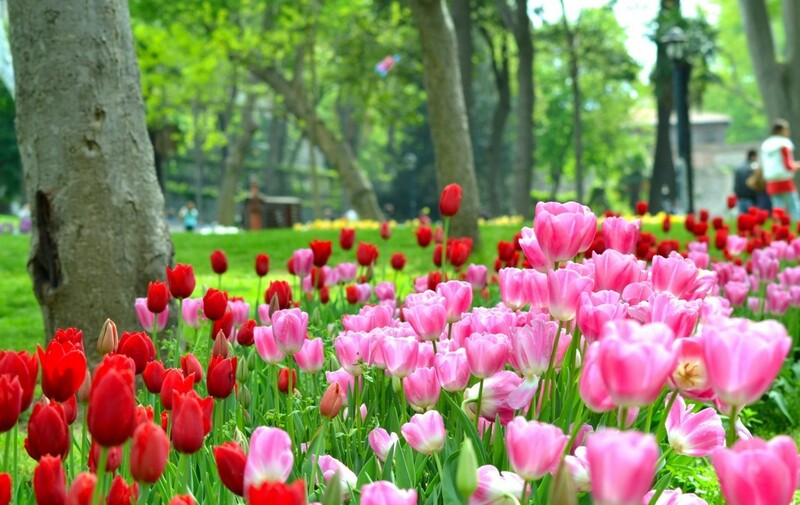 Although the Fener district is located in the European part of the city, it is in Asia that almost the most green and spacious park of Istanbul - Fenerbahçe Park is located. Its name origins from a lighthouse located nearby, and according to the legend, the locals decided to combine the lighthouse with greenery, filling the water with sand and stones. Today Fenerbahçe Park is the most pleasant oasis of freshness in a city with 17 millionof inhabitants.Here you can relax from the bustle, andenjoy delicious ice cream from Turing cafe, sitting almost next to the sea close to the city biggest dock. Another pleasing thing is the endless tracks for jogging, sports grounds and, of course, cats –one cannot imagine Istanbul without them. The Istanbulites say that in order to enjoy Fenerbahçe Park, it is worthy to get from Europe to Asia. The best time to visit is the spring and the days when the Fenerbahçe football club does not hold its matches at the local stadium, if you do not like football, because on the day of the game you feel deaf from what is happening in the arena. Istanbul is a manifest of Europe flowing into Asia, or the West influencing the East and vice versa. 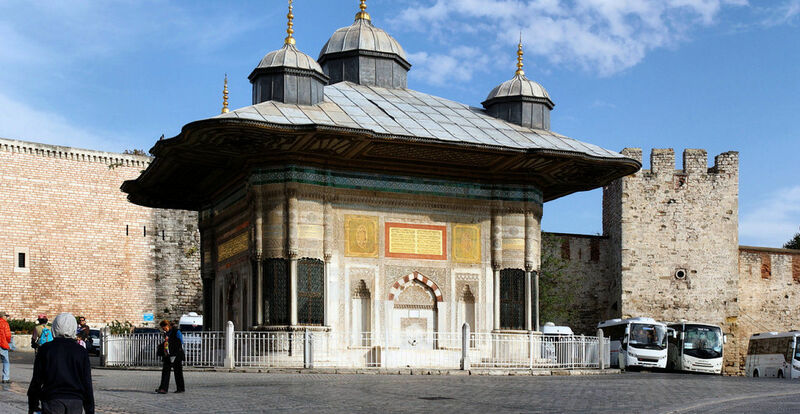 This is especially emphasized in architecture, thus, looking at the most famous fountain of the city, built in 1728-1729 by the order of Ahmed III, who went down in history as a Sultan-reformer. This landmark was erected in the Ottoman Baroque style, in order to demonstrate a mixture of architectural traditions. Nowadays, near the fountain, which the Turks consider to be one of the symbols of the country, there are lively and modern avenues of PaşaLimanı and Hakimiyet-iMilliye, so studying it is travellingthrough time, especially sinceits decoration, the water supply system, and the inscriptions - all the components awake curiosity. One of the oldest mosques in the city is a complex, inside which there is also the mausoleum of Ahmed Pasha. The author of the structure is Mimar Sinan, the architect and engineer most respected in Turkey, for whom this mosque became one of the last works. In comparison with the mosques of the European part - the Şemsi Pasha Mosque is much more cosy and compact, so it will not take much time to bypass the whole complex. 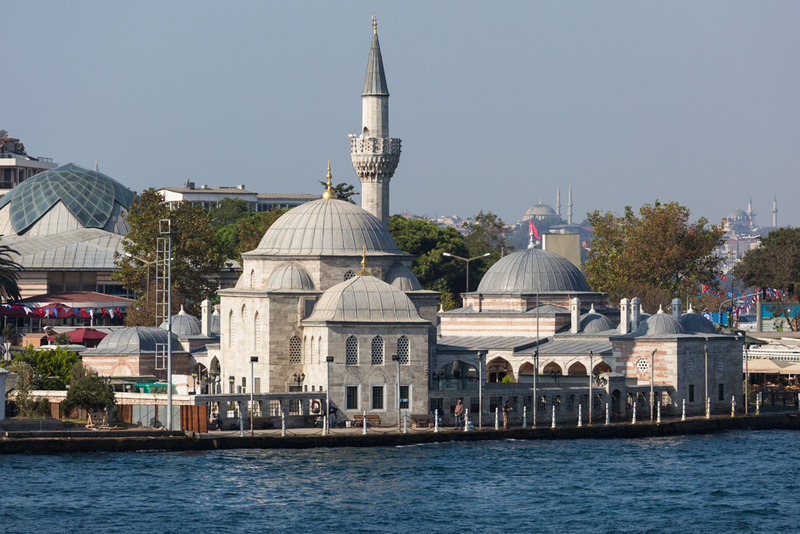 It is located right by the sea, near the port of Üsküdar and attracts both believers and tourists with its asceticism, so unlike the traditional eastern large scale. The legend has it that no bird will ever sit on the dome or minaret of Shemsi as a sign of respect to its architect.This mosque is known as the Kuskonmaz Camii by the locals, meaning mosque where no birds can land.